You’ve probably had a problem once in your lifetime with the most used document type in the world – PDF. Whether you need to edit a PDF, convert MS Office files to PDF, or extract text from scanned documents, you couldn’t do that without some additional tool or software. That is why there are so many available options to choose from, but you shouldn’t just settle for the first thing you find. Most people look for a reliable tool that will help them with their PDF-related tasks. A solution that will be able to deliver on quality, speed, and functionality every time the need emerges. So we wanted to introduce you with a tool that meets the criteria. EasyPDF is an online PDF suite that delivers on that promise while remaining completely free. It is also very convenient that you don’t have to register or leave your email to use EasyPDF. People should always have the choice if they don’t want to pay for expensive software or their emails to be sold for advertising. That is why this tool is a great online alternative for most PDF converters out there. ● PDF Creation – converts PDF from almost any document. You can choose to create PDF from Word, Excel, PowerPoint, Text, or Image. ● PDF Conversion – converts PDF files to other file formats like Word, Excel, PowerPoint, AutoCAD, JPG, GIF. ● OCR Online – extracts data from scanned images to Word, Excel and Text files. ● PDF Merge, Split and Compress – allows splitting or combining PDF files and reducing the size of the document. ● No installation or registration – convert files immediately. ● Completely free and without ads. ● Fast conversions – less than a minute. ● Conversion of large files without limitation. ● Upload files from Google Drive and Dropbox. ● Use EasyPDF on Windows, Linux, and Mac. ● Mobile Friendly – performance and interface are highly optimized for smartphone use as well. ● Secure conversions – files are deleted from servers after 6 hours. ● Available in 14 different languages. When using PDF creation or PDF conversion, you need to upload one file for conversion. You can choose to upload file either from your local storage or from Google Drive and Dropbox. The conversion process will start by pressing the “Convert PDF” button. It will take up to one minute for conversion to complete. If you are converting scanned PDF to other file formats, the system will automatically detect scanned document and will initiate OCR conversion. You need to download the document by pressing the “Download” button. If you leave the page without downloading the document, you will lose it. In that case, repeat the process. If you want some other kind of conversion, go back to the home page. Using OCR online feature is pretty much the same as the PDF conversion. You need to upload a scanned image and choose the desired output format for conversion. You can choose between Word, Excel, and Text. For PDF merge, you will need to upload two or more PDFs that will be merged. 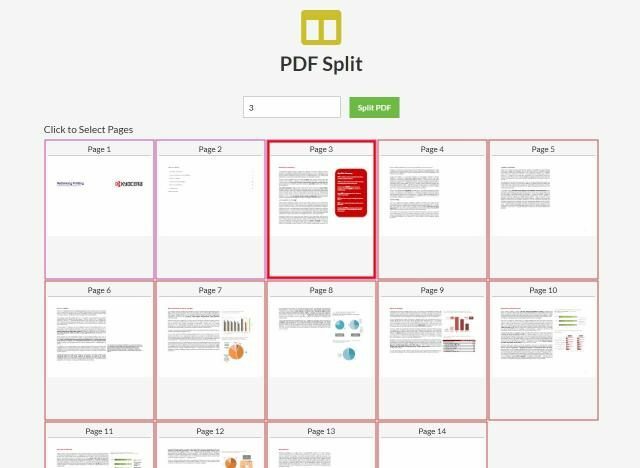 For PDF split, the process is little different. You need to upload a PDF with more than one page and soon the page preview will show up. You will need to choose than on which page to split the PDF. You can easily unselect any previously selected page by clicking on that page again. After you split the document, you can download all documents or each separately. PDF compress is the same as the PDF conversion process. PDF management doesn’t have to be hard when you have the right tools and EasyPDF proves that point. 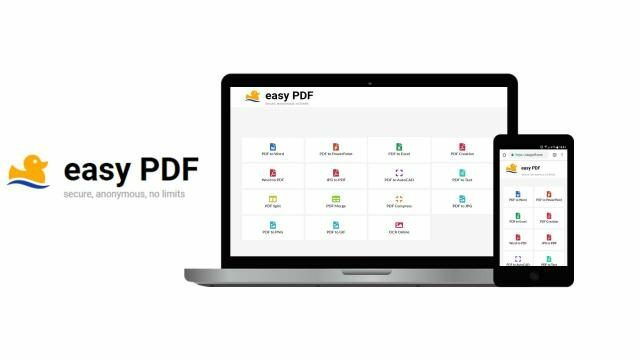 You can access EasyPDF on every device or operating system, whether you are in the office or working on the go. EasyPDF is fully free online PDF suite that can help you get the job done.